Professional projects form the heart of the training at MBA ESG. They allow young managers to “learn by doing” while offering them the opportunity to meet professionals and build a network. Students working on these projects manage everything from planning to the execution themselves. This reinforces important skills needed in an organization such as communication, confidence, teamwork, resourcefulness, networking, decision making, problem-solving, and self-management. Young sports managers are called to choose a project at the beginning of the year. They organize and facilitate conferences and tournaments, immersing themselves in international sports during the weekends in London and Barcelona. Sometimes, they even participate in events like the Sailing French tour. Working in teams, they are responsible for implementing the projects by initiating necessary steps for their team’s success such as logistical organization, search for partners, communication around the project, etc. Some examples of projects led by the students in 2016/2017 are listed below. 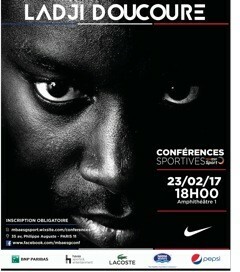 Les Rendez-vous du Sport was started by MBA ESG and Havas Sports & Entertainment in 2010. It revolves around a trending topic in the world of sport and involves the participation of numerous professionals from the French sports movement, professional national federations and leagues, sports marketing agencies, the media, and local sports authorities. 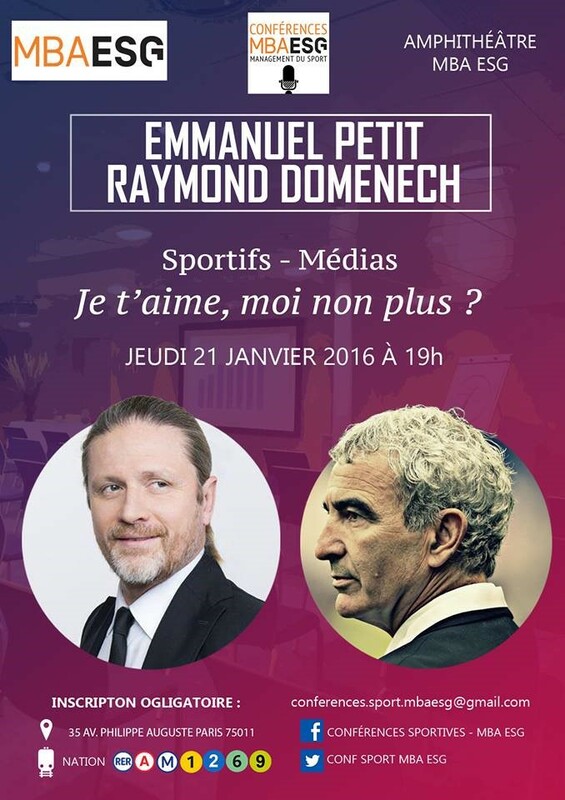 Two Rendez-vous du Sport were scheduled in November 2016 and March 2017, bringing together, at the headquarters of Havas Sports & Entertainment, speakers on topics related to the sport of today and tomorrow. Sport connected, eSports, applications to improve the spectator experience at sports shows – we live in a time when sports is constantly evolving. The 34th Rendez-vous du Sport was organized, on November 24, 2016, to discuss the evolution of sports, in practice and consumption, and where it could be heading in the future. In the business of sports, athletes enjoy an influence such that they become essential to brands. For advertisers, using their image is a way to capitalize on their reputation and differentiate them from the competition. For a long time, these partnerships have been limited to sports brands, but they are now spreading to new areas such as fashion or beauty, thus demonstrating that sport has left no field alone. This event was organized on March 23, 2017. A group of students organized the ESG Race in a famous park in Paris. The group was responsible for managing all aspects of the project – organization, communication, creative, logistics, etc. They also set up a full training plan with coaches to get maximum students from all of ESG ready for the event. The eight students successfully raised the money through sponsors to finance the project, the MBA ESG boat, and team. Here are a few of the student conferences. Social Networks: A Benefit or a Danger for the Athletes? 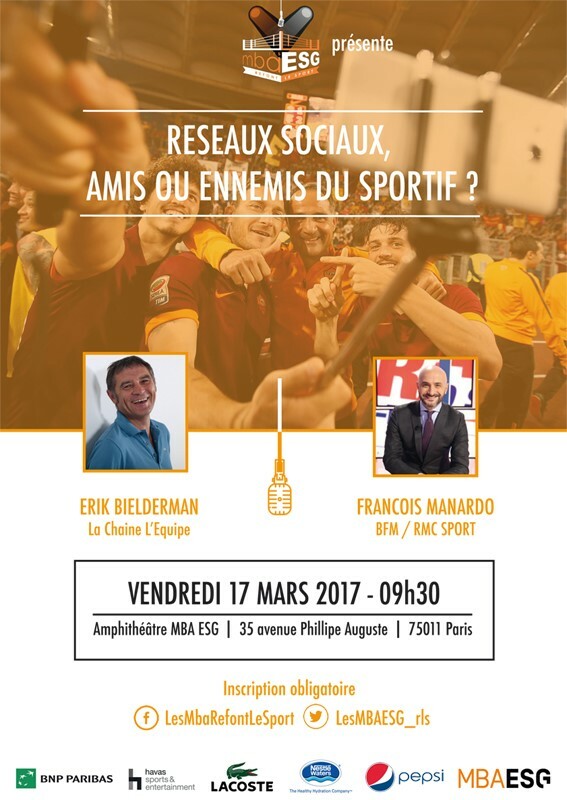 Guests: Head of the editorial entity of the leading sports channel L’équipe and a journalist from a leading French sports radio. 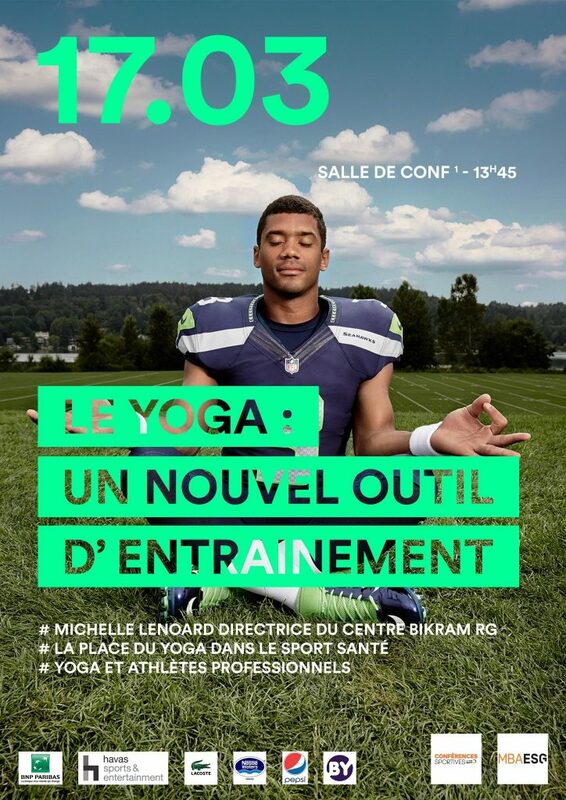 Yoga: A New Method of Training?